This post appeared first on The Booky Report. SECRET: One of them served the desserts during her wedding! Who doesn’t know Nikki Gil? Most know her as a MYX VJ since 2005, but really, it was her sweet and charming Coca-Cola commercial in 2008 that captivated us all. After that stint, everyone knew she was going to be a star to watch out for. So we stalked the recently hitched Mrs. Nikki Gil-Albert on Instagram and found out 5 things she loves–Charlie (her first son, a golden retriever), traveling, seafoam green, books and FOOD! And of course, it was only natural that we ask for her favorites. She swears by Japanese and Spanish cuisine; as for restaurants, she says nice lighting, clean restrooms, and friendly (but efficient) waitstaff are serious plus points in her book. Just check out her beautifully curated Instagram feed for those Pinterest-level interiors she looks for. If you want to take a peek at what makes her tummy sing, check out these 14 spots. Who knows? You might just bump into her. 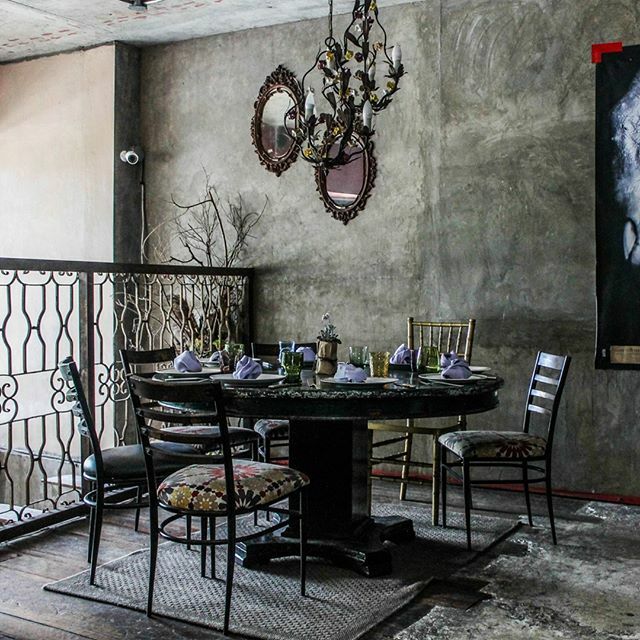 Apartment 1B is a casual and relaxed restaurant serving gourmet comfort food by Marivic Diaz-Lim. It is named after the unit that its flagship branch is located–in Apartment 1B of the One Lafayette Square building in Salcedo Village. Nikki loves: the New Zealand Mussels, Baby Back Ribs, and White Toblerone Cheesecake. Rambla by Chef Pepe Lopez, is a Spanish-Mediterranean restaurant that applies modern techniques to create their well-loved specialties like the Beef Tenderloin with Foie Gras, Egg Bomb, Octopus Carpaccio and their signature paellas and cochinillo. Nikki says their Beef Tenderloin with Foie Gras is to die for. Barcino is famous for its delicious Spanish cuisine and wide selection of wine. It also has several conveniently located branches across the metro, allowing you to plan accordingly and meet up with your friends, no matter where you’re coming from. Nikki loves their Chistorra, Chorizo Croquettes, Paella Negra and Sangrias. Kai, which means ‘gather’ in Japanese, is popular for its Modern Japanese cuisine. They have an interesting attack on traditional dishes, undoubtedly making us all drool non-stop. Nikki loves their Soft Shell Crab Roll. For her, Japanese food is always a good idea. Grace Park by Margarita Fores is a farm-to-table concept offering diners dishes made only from the freshest ingredients. The vintage and calming interiors make the dining experience extra special. A creation by Chef Colin Mackay, People’s Palace is an upscale, modern Thai restaurant with appetizing dishes for friends and families to try. Nikki loves: the Crispy Catfish with Green Mango, Prawn Spring Rolls and their Pink Lemonade. Your Local is a neighbourhood bistro serving modern Southeast Asian dishes. Opened by Chef Denny Antonino and Nicco Santos, the restaurant has a hipster meets industrial vibe and serves all day brunch together with their standard menu. Nikki loves: everybody’s favorite, their Torched Salmon Donburi. Neil’s Kitchen is a modern Filipino restaurant by Chef Neil Ramon and his partners. They serve dishes with a Pinoy twist such as their signature paellas. Before Neil’s Kitchen, Chef Neil is best known for The Hills at Silang, his catering business. Nikki loves: their Sinigang Paella and Bumblebee Shrimp. Tagged as ‘A Home Kitchen’ and best known for their steaks and pastas, Mamou has been included on Tatler Magazine’s annual Best Restaurants List for 7 straight years (which is the same number of years they’ve been operating). Nikki loves: their Angus Ribeye Steak and Cheese with Fuet and Truffle Honey. Terry’s Bistro has been serving some of the best-tasting Filipino and Spanish-inspired dishes, along with a curated wine selection, for the past 16 years. The Farm Organics Resto is a farm-to-table concept restaurant that serves certified organic grass-fed beef sourced from their own breeding cattle farm in Masbate, a socially conscious agricultural business operating since 1976. Nikki loves: their Bacon Cheeseburger and Mushroom Truffle Pasta. Wildflour Café + Bakery – Net Lima Bldg. Wildflour Café + Bakery is a bakery at heart that offers international fare and specialty breads and cakes. It’s for people who enjoy breakfast, brunch or lunch in a place that always feels like Sunday mornings. Nikki loves the Baby Mixed Greens Salad, Pulled Pork Sandwich, and the Orange Creamsicle. Tuan Tuan, which literally means ‘to put together’, best describes the restaurant’s goal of putting together the best of Hong Kong comfort food in a French brasserie setting. It is a homegrown concept from the Lugang group. Nikki loves: their Pork Buns. The Wholesome Table is an organic restaurant that serves healthy comfort food by Bianca Araneta-Elizalde, who previously opened Aria in Boracay. All produce is organic and sourced locally where possible, the meat is pasture raised and ingredients are not processed or refined. Nikki loves: their Geisha Powerbowl. She recommends this place for when you’re feeling guilty after a weekend of indulging. Curious to see if Nikki’s your food soulmate? Add these restaurants to your Must Try list on the Booky app and see if you have the same taste for food. Don’t forget to tag us (@bookyapp #bookymanila) and share your photos with us on Instagram, too!